Hearing tests are the first step toward better hearing health – and better overall health. Because a third of people over 65 and half of people over 75 experience some degree of hearing loss, hearing specialists recommend annual hearing tests for people age 50 and above, and for people who are exposed regularly to loud noise. Hearing tests are simple and painless, and they provide insight into your hearing ability. With the results of a hearing test, you and your hearing specialist will determine the next step of action that is best for your hearing needs. Your hearing test results will indicate whether there is a hearing loss, the cause and degree of hearing loss, and the best treatment options. The first part of a hearing test is a conversation with your Hearing Specialist. You’ll be asked to provide information on your personal and family medical history, especially if there is a history of hearing loss. Certain medications may cause hearing loss; be sure to provide your Hearing Specialist with as much information as possible. Your Hearing Specialist will also ask you about your daily activities and employment, to determine any factors that may contribute to hearing loss. Certain occupations place people in noisy environments, while your love of live rock music or hunting may be factors to consider. 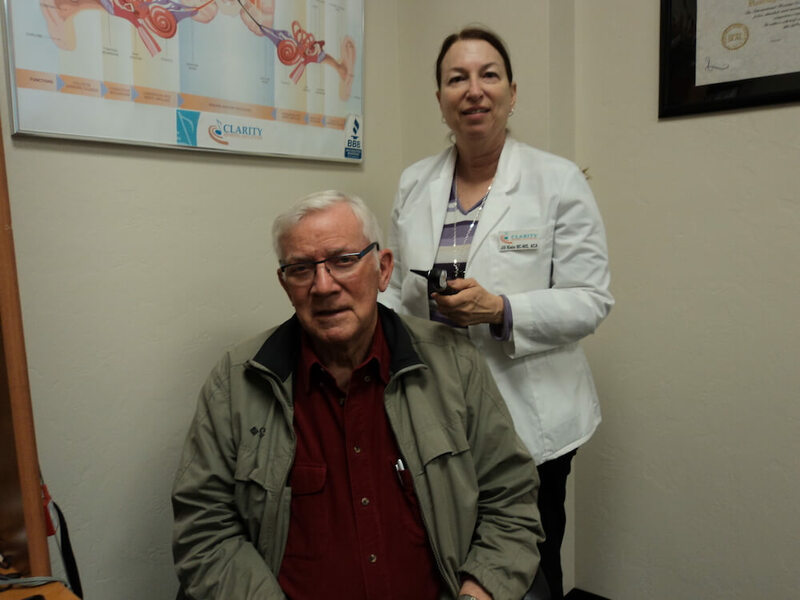 Following the conversation, your Hearing Specialist will examine your ears with an otoscope. Your Hearing Specialist will check your ear canals and ear drums to see if there is any visible damage or injury. These may contribute to hearing loss. If you experience impacted earwax, this may also be a cause of hearing loss. The physical examination is non-invasive and painless. During the pure-tone exam, your Hearing Specialist will ask you to sit in a soundproof room with headphones. Through these headphones, your Hearing Specialist will play a series of tones at different frequencies, from low to high. You will be asked to raise your hand or push a button when you hear a sound. The results of your hearing exam will be recorded in an audiogram, a visual representation of your hearing ability by ear. 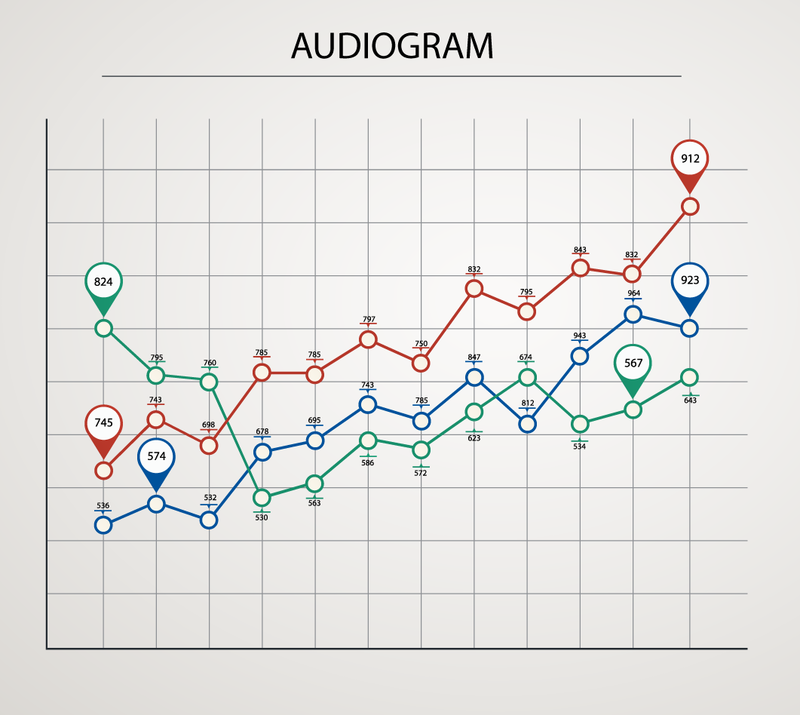 Data in the audiogram will identify the type, degree, and configuration of your hearing loss. It will indicate your ability to hear different frequencies and volumes. If you are experiencing hearing loss, your Hearing Specialist will give you options based on the type and degree of your hearing loss. Treating hearing loss with a hearing aid is a common solution and brings many benefits. Hearing aids are fully customizable to meet your specific hearing needs. At Clarity Hearing, we will take you through every step of this process to ensure the best course of action for you. Interested in schedule a hearing test? Contact us today to schedule a hearing evaluation with Audioprosthologist and Hearing Instrument Specialist, Jill Klein BC-HIS, ACA.